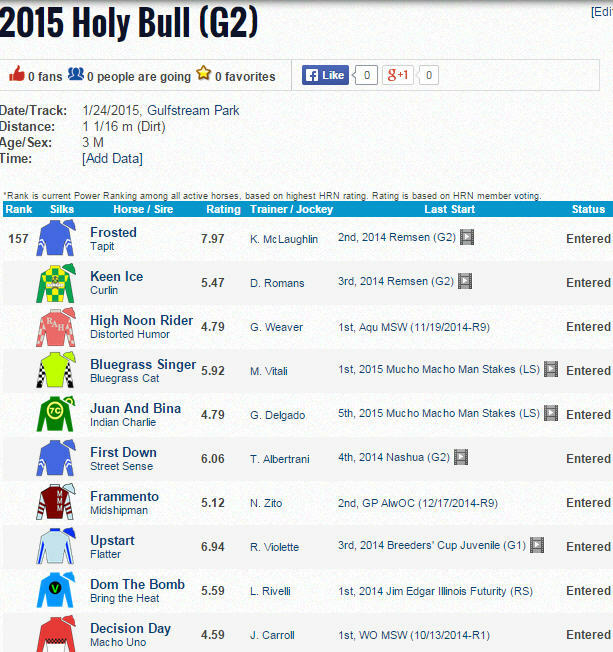 The 2015 Holy Bull Stakes drew a field of 10 including Remsen runner-up Frosted and Breeders’ Cup Juvenile show finisher Upstart. International Star has been one of my Kentucky Derby 2015 contenders since last September and it was gratifying to see him capture another graded race in the Lecomte. Earlier this month, the 2015 Derby trail got off to a flying start with El Kabeir capturing the Grade 3 Jerome and Calculator overcoming a wide journey in the Grade 3 Sham. G3 Jerome (95 BSF): El Kabeir sat a wide tracking trip from the outside post and was almost five lengths clear crossing the wire. Runner-up Nasa was almost eight lengths ahead of show finisher General Bellamy. G3 Sham (97): Calculator was widest of all and much the best in his first career win. Runner-up stablemate Rock Shandy was well clear of the rest. G3 Lecomte (89 BSF): International Star saved ground from the inside post and kicked away from War Story and Tiznow RJ. Highly regarded post time favorite Eagle could not overcome the outside post in a very disappointing 7th place finish. Smarty Jones: In a bit of breaking news since they just ran this one a few minutes ago, Far Right made a sneak attack along the rail from off the pace (raced in traffic) under Mike Smith. Bayerd landed the place and Mr. Z invented a new way to lose. The latter was in control turning for home but could not keep a straight line and finished an erratic 3rd way out in the middle of the track. The final time for the one mile race was 1:38.43. Click on the names of each horse below (Top 5) to view their Horse Racing Nation profile page, which includes pedigree information, results, and video. Latest Published Workout: 3f in :37.40 (2/6) at Palm Beach Downs on Jan 17. Last Start: 2nd in G1 BC Juvenile at Santa Anita on Nov 1. Comments: Back in Pletcher’s barn after some R & R at Winstar Farm. Latest Published Workout: 4f in :48.10 (5/57) at Palm Meadows on Jan 17. Last Start: 2nd from the outside post in G2 Remsen. Comments: He almost certainly would have won the Remsen with a better post position. Last Start: 1st in G2 Nashua (8f, 93 BSF) at Aqueduct on Nov 2. Comments: Blew past pacesetter El Kabeir to win G2 Nashua by five. He skipped the Remsen and will winter in Florida. Last Start: 1st in the G1 FrontRunner at Santa Anita on Sept 27. Comments: Foot bruise knocked him out of the G1 BC Juvenile. Newly crowned Juvenile Champion is expected to resurface soon. Latest Published Workout: 4f in :49.80 (14/46) at Gulfstream Park West on Jan 17. Last Start: 7th in G1 BC Juvenile on Nov 1. Comments: Stumbled at the start and dueled 3-wide before slowly fading to 7th in the BC Juvenile at Santa Anita on Nov 1. 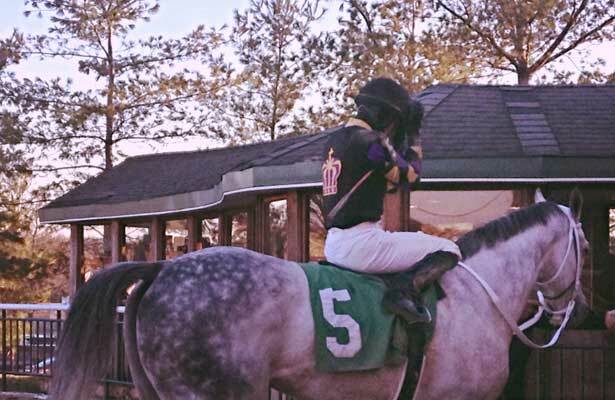 Latest Published Workout: 4f in :49.55 (38/115) at Belmont (dirt training) on Jan 18. Last Start: 1st in G3 Jerome (95 BSF) at Aqueduct on Jan 3. Comments: Back-to-back graded wins in G2 Ky Jockey Club and G3 Jerome. Last Start: 1st in G3 Lecomte. Comments: Lecomte hero might return to Fair Grounds for Risen Star. Latest Published Workout: 6f in 1:14 (13/19) at Santa Anita on Jan 17. Last Start: 1st in G1 BC Juvenile on Nov 1 (104 BSF). Comments: Big, romping off the pace win in G1 BC Juvenile for Team Desormeaux. The San Vicente at Santa Anita on Feb 1 is next. Latest Published Workout: 4f in :49 (17/57) at Palm Meadows on Jan 17. 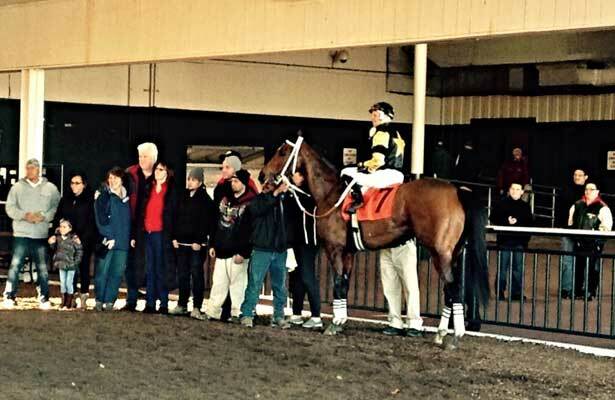 Last Start: 2nd by a head in the G2 Kentucky Jockey Club Stakes at Churchill on Nov 29. Comments: Handled dirt just fine under the Twin Spires on Thanksgiving weekend. Trainer: Bob Baffert – Owner: Kaleem Shah, Inc.
Latest Published Workout: 6f bullet in 1:12.20 (1/28) at Santa Anita on Jan 14. Last Start: 1st in G1 Los Alamitos Futurity. Comments: The undefeated G1 Los Al Futurity hero might start next in the G3 Robert Lewis Stakes at Santa Anita on Feb 7. Latest Published Workout: 3f bullet in :36.53 (1/6) at Palm Beach Downs on Jan 17. Last Start: 11th in G1 BC Juvenile. Comments: Was hung out to dry (wide throughout from outer post) in BC Juvenile and retreated to last in a throw out effort. He is back in Pletcher’s barn after some R & R at Winstar Farm. 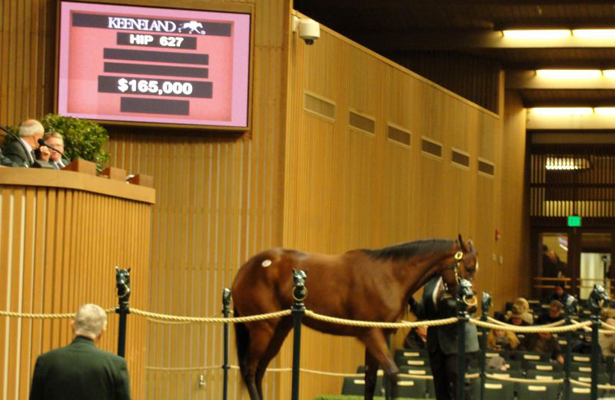 Hip 627 Courtizanna (above) sold to Adena Springs for $165k. 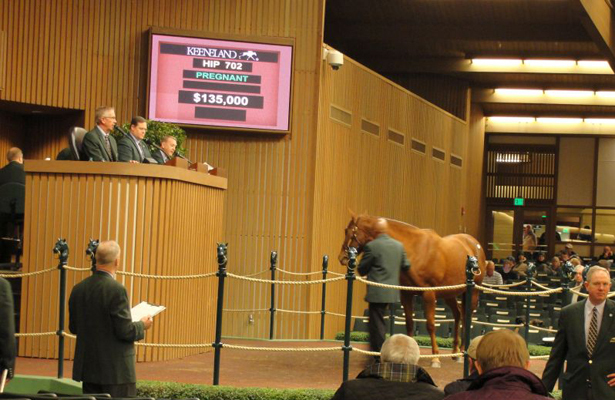 Hip 628 Cove (Mated to Lookin At Lucky) sold to Twin Hopes Farm for $150k. 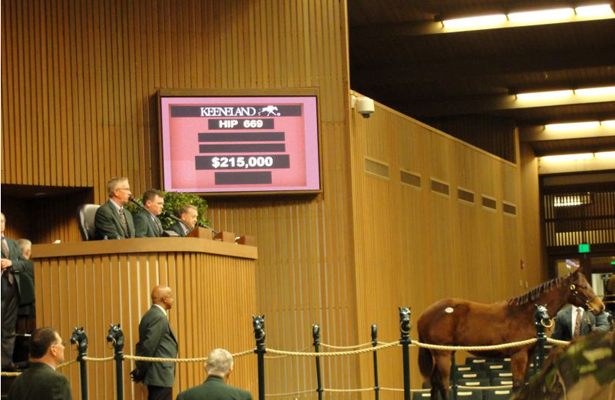 Hip 669 Ghostzapper–Eyes Wide Open yearling filly (above) went for $215k. 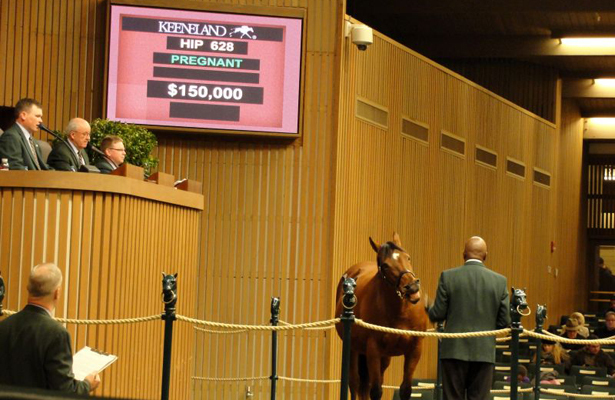 Hip 702 Haptin (Mated to Bodemeister) brought $135k. Hip 706 Heavenly Pride (mated to Union Rags). Reserve Not Attained ($285k). 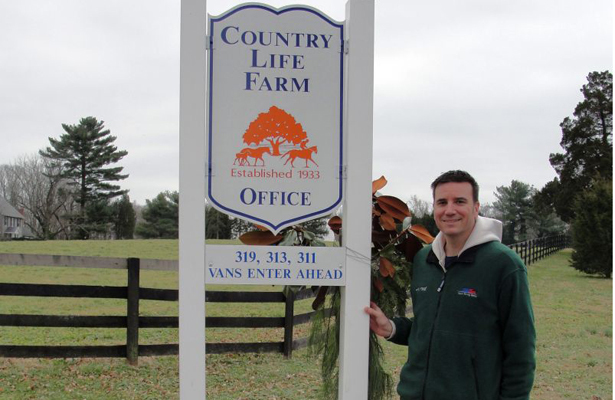 I had the pleasure of visiting Country Life Farm in Maryland during a recent holiday visit to my hometown. Established in 1933 and best-known as the birthplace of the legendary Cigar, Country Life was also the starting point for successful Kentucky stallion Malibu Moon, sire of 2013 Kentucky Derby hero Orb. 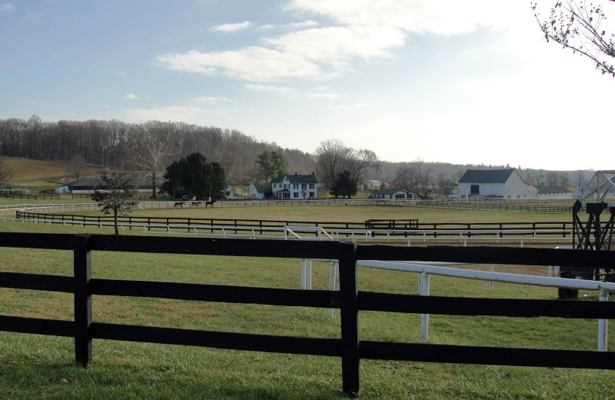 A few miles down the road is Merryland Farm, a full-service breaking and training center purchased in 2001 and run by Mike and Josh Pons. I would like to thank Mike and Josh Pons for their hospitality, and George Adams for graciously showing us the ropes at Merryland Farm. My first visit to Country Life Farm in Fallston, MD. 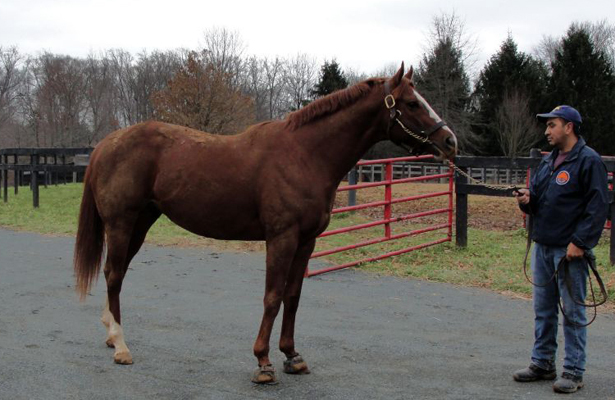 Distorted Humor’s son Cal Nation (above) stands at Country Life Farm. 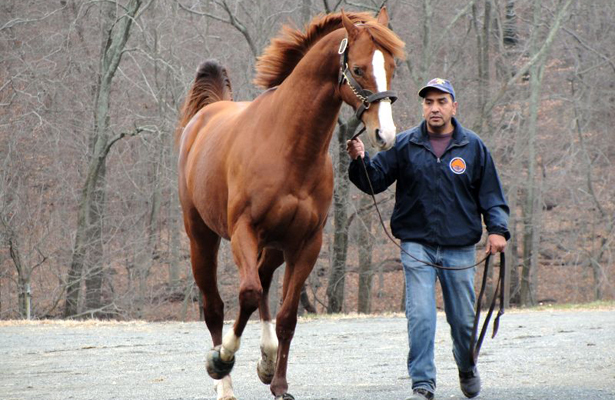 G2 Peter Pan hero Freedom Child (above) struts his stuff at Country Life. 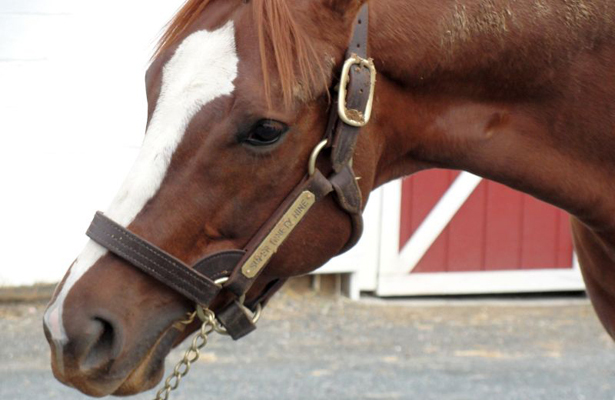 2009 Kentucky Derby favorite Friesan Fire (above) is a stallion to watch. Up close and personal with Country Life sire Super Ninety Nine (above). Scenes from Merryland Farm (above). Horses training at Merryland Farm (video above). 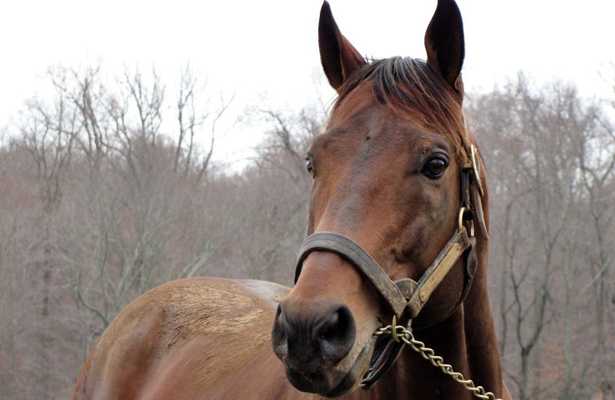 Horses playing at Merryland Farm (video above). Photos and video by Stacy Edwards. 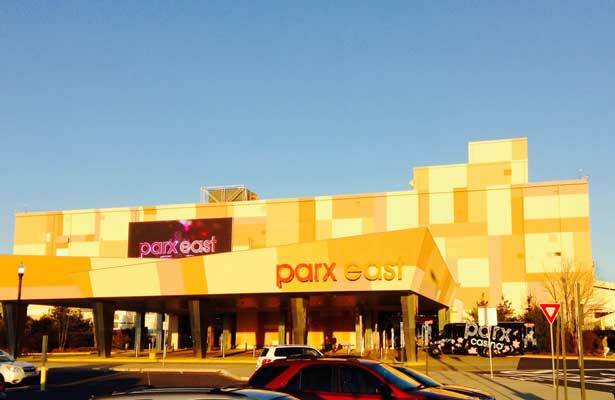 I grew up on the East Coast (Baltimore, MD) and have been following racing since Parx was Keystone. I somehow managed to avoid the Bensalem, PA oval until Tuesday, December 30, 2014, and I can now check it off my racetracks visited list. I did not visit the casino but enjoyed watching the live racing, although it was quite cold outside. 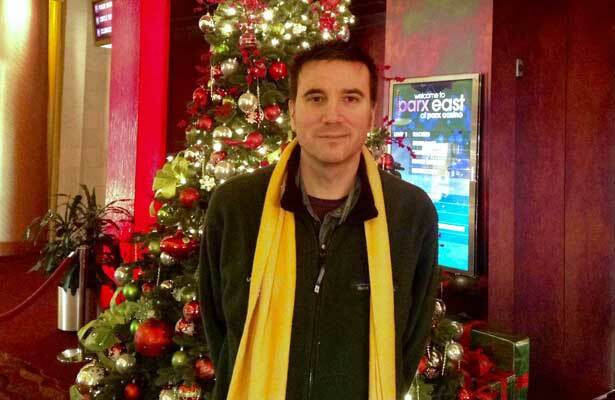 Here I am enjoying the Parx Christmas decorations – Happy New Year! Adirondack King (above) in the Parx winners’ circle following a dead-heat win with Sailor’s Revenge in the $75k Auld Lang Syne Stakes. I managed to hit the Superfecta and made a few bucks on the day…yay! Praetereo after his 9-2 victory in the $75k Valley Forge Stakes. He was claimed for $40k on Nov 17 and was 0-for-10 on the year heading into Tuesday’s race.